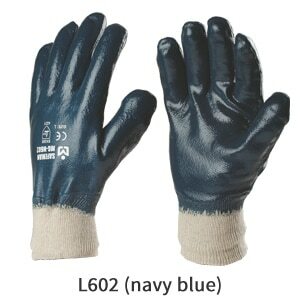 Feature Benefit Cotton Cut & Sewn Interlock or Jersey Lined (Supported) combined with Nitrile Coating with Knit Wrist, Matt Finish coating, Non Smooth Finish or Textured Finish for Excellent Grip. Available with an option of Palm Coated or Fully Coated styles. Medium or Heavy Coating offers more resistance to cuts, punctures, abrasions, snags, oil & grease. Open back (3/4 coating on back of palm) offers more comfort & breathability to work for longer hours in warm conditions.